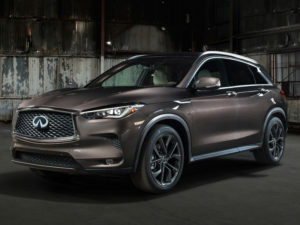 Infiniti has unveiled its forthcoming QX50 SUV ahead of its debut at the LA Motor Show next week. Due in the UK late 2018, the SUV will feature petrol engine technology that can adjust its compression ratio to meet efficiency and performance demands as required. Both front-wheel and all-wheel drive models will be available. Other technologies include ProPilot autonomous drive support technologies to assist the driver when accelerating, braking and steering during single-lane carriageway driving, whilst still allowing them to retain ultimate control over the car.